Co-creation is here to stay. For companies that understand the concept and execute it well, the rewards can be far greater than even the most efficient internal R&D system can deliver. By embracing co-creation, companies are able to outperform the market, develop better products and get them onto shelves faster, provide superior service, and build deeper, more loyal relationships with their customers. Co-creation is a core capability for unleashing the immense resourcefulness of outsiders. Yet, ten common co-creation myths prevent companies from seeing the potential to innovate better. Co-creation is a term often used to describe the process of creating value involving companies and their customers. Although this is not wrong, it is important to highlight that co-creation can also include other stakeholders such as suppliers, employees, distributors, NGOs and regulators. In fact, involving other stakeholders is essential because they directly or indirectly shape customers’ experiences. Co-creation with suppliers, for example, can be a great way of reducing costs and improving the efficiency of existing products or services. For instance, Ford’s Aligned Business Framework was launched in 2005 to empower suppliers to share information at the earliest stages of the design phase. The goal was to boost trust, transparency and supply-chain efficiency which subsequently has led to closer working relationships, earlier access to innovative supplier-sourced design features and, importantly, to lower production costs. Asking what can be a homogeneous target audience for feedback on your product or service prototype is useful but may result in similar responses and reactions. Companies that reach beyond the usual customer segments, however, may receive diverse, unique and creative ideas that unlock value from innovative opportunities that were initially not considered. For example, a company invited people to participate in the co-creation process of a special ‘hopping mat’ for children. The hopping mat was originally designed to enter answers to mathematical questions in order to study school material more playfully. However, an elderly person put forward an idea for a further use of the mat by highlighting the physical workout that is also taking place in the process. Co-creators who are not the usual target customer can be a valuable source of fresh ideas. Digitalisation has transformed books, music, maps, cameras and calendars into digital services. These are not just products but are a combination of both the digital artefacts themselves and the services that deliver them. This makes the co-creation activities different from those of products alone. But involving co-creators helps unlock the potential of digital services as well as products. For example, a company offering customisation of shoes through its online platform was able to receive authentic customer feedback about its pricing strategy through an offline co-creation approach. 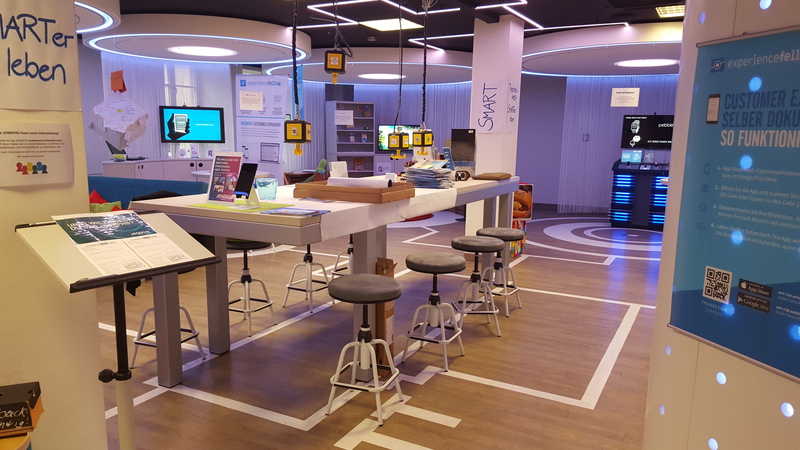 Not able to capture the customer’s first impression online, the company used an open innovation space in order to co-create together with its customers. In this setting, co-creators pointed out that the company’s pricing strategy is irritating: “Shoes with laces should be more expensive than those without”. Although the production cost was not significantly different, the company decided to adjust prices in accordance with the feedback. Co-creation success stories are emerging across various industries, and involve both small and large firms. For example, The LEGO Group employs co-creation to successfully engage many of their adult customers in the design process of new products. Peter Espersen, head of global community co-creation at LEGO explains: “We have learned some big lessons. First, that creativity has almost no boundaries; people can do amazing things. Second, we can’t always predict what consumers want. [..] When you combine the idea of LEGO with another strong community, and a fun one, that is rocket fuel in the engine - it really works.” Small and medium-sized organisation can also exploit co-creation benefits by involving outsiders in their innovation process. For instance, a small apparel company asks its customers which of its next season clothes they would want to wear. Based on the customers’ input, the company can decide how much to produce and how much stock it will need. This reduces inventory costs, and the products are better fitted for the customer needs. Furthermore, a more accurate forecast of supply and demand for specific items can be achieved. For small companies, this kind of approach can be the key for success, reducing uncertainty about the success of products in the market. Also, co-creation allows firms to mitigate risks related to the development of new products and services. As all stakeholders contribute ideas to creating a product or service, the chances of it failing are considerably reduced. The most publicised co-creation cases - such as giffgaff, eBay and Zipcar - are usually in a direct-to-consumer setting. B2B leaders may dismiss it as an approach that they can afford to ignore. Most B2B firms are disconnected from their end customer and hence may lack a clear understanding of their needs and wants. A company that has managed to overcome these challenges is Diehl Controls, a leading developer and manufacturer of display, control and drive systems. To familiarise future users early on with the possibilities offered by new products, Diehl Controls presented itself at the theme world ‘SMARTer Living’ in the Nuremberg-based innovation laboratory JOSEPHS®. Although Diehl operates in a B2B context, the company used this innovative platform to address end customers directly and asked for their opinions regarding their products. The results of the surveys they conducted were directly used to improve the products of Diehl Controls. In addition, its participation in this theme world led to initial contact with potential customers who are interested in smart home solutions. Enabling this direct interaction with end customers helps companies experiment more easily with new product offerings and make the final product as close to the customers’ needs as possible. This is important in the B2B context as much as the B2C. Co-creation has spread rapidly in the business sector. In the public sector, however, adoption of the co-creation approach is a fairly recent occurrence driven by rising citizen expectations. In the traditional government model, a public organisation obtains resources through a budgetary allocation and then uses those resources to deliver services to stakeholders. The citizens that take advantage of these services are largely passive - they do not actively influence the design or delivery of the service. Contrary to this traditional approach, a public-sector co-creation initiative allows public sector entities to open their value chains to the stakeholders whom they serve. Stakeholders become active contributors in the co-creation of the public sector value proposition. Co-creation has several benefits: it reduces public sector costs of between 20% and 60%, and increases stakeholder satisfaction, generate better outcomes, improve the image of the state sector in the perspective of citizens. Thus, co-creation offers a real-world response to the innovation imperative that most public-sector entities face nowadays. The concept of co-creation is not only relevant for developed countries, it also has an essential role in unlocking opportunities in the 'base of the pyramid' (BOP) markets. Co-creation between multinational corporations, economically disadvantaged people, potential business partners, non-profit organisations and other players is shaping products, services, business models, mindsets, business ecosystems and even whole communities in BOP markets. For multinational companies that try to enter developing countries, close collaboration and co-creation with stakeholders may be even more critical. In these markets, it is important to co-create business models; successful BOP ventures “often included having the product and business model development co-evolve. Partner organizations co-designed the entry strategy, including the delivery of the product or service”  (p. 14). For instance, CEMEX, a retailer of cement, concrete and aggregates, learned from Mexican communities that to serve the local DIY home-building market, it would have to provide financing and construction training as well as materials. Co-creation does not need to be a stand-alone tool, it can also be linked to a variety of other initiatives and approaches. For example, when an established customer community has been formed around a brand, a community app can be used to add social conversations and receive insights to support research and co-creation activities. Alternatively, companies can choose to combine internal and external innovation activities. For example, a company started to develop an app to manage personal finances better. During the first year and a half, its internal research and development efforts took place before they started involving customers in the co-creation process. Depending on the situation, companies tailor the co-creation approach to their individual needs. This way, co-creation is not a standalone approach but it is integrated into a wider innovation activity. Co-creation can be employed in all four phases of the new product development (NPD): ideation, product development, commercialisation and post-launch, co-creation in the early stages of the NPD can lead to more innovative ideas . Consequently, co-creative companies do not wait until a new product is designed and launched to receive customer feedback. In fact, beta versions and prototypes are released to customers and other stakeholders for ideas and feedback which are then assessed and incorporated into the product or service. Users are even considered to have a greater ability for idea generation than the employees of a firm. In this context, companies can greatly benefit from the iterative co-creation process by receiving real-time feedback. As a result, co-creation reduces the cost of creating new products and services as well as the marketing associated with it. The term co-creation can be described as “any act of collective creativity where more than one individual is involved, resulting in something that is not known in advance”. This definition should prepare companies to expect the unexpected: creative and value adding ideas may come from stakeholders not only about a certain product or service, but also about other areas in the value chain such as product packaging, areas of application, sales channels and even raw materials used. For example, a company aiming to improve the shoe shopping experience with its innovative 3D foot scanner aimed to obtain information related to the market needs and privacy of data through co-creation with customers. Although, the company gained insights on these aspects, it also received feedback concerning the material of the 3D scanner foot plate. During their trials, customers noticed that the material of the foot plate shows if someone has sweaty feet which makes the measuring experience rather embarrassing. Consequently, the company changed the material of the foot plate. This highlights that co-creation can offer answers to questions but it can also deliver unexpected insights in areas companies initially did not consider. The Cambridge Service Alliance is a unique global alliance between leading businesses and universities. It brings together the world's leading firms and academics, all of whom are devoted to delivering today the tools, education and insights needed for the complex service solutions of tomorrow. Its members are BAE Systems, Caterpillar Inc., IBM and the University of Cambridge's Institute for Manufacturing and Judge Business School. Find out more here. Chowdhury, S., 2012. Co-creation of Innovative Digital Services. In 35th Information Systems Research Seminar in Scandinavia, Sigtuna, Sweden, August 17-20, 2012 (p. 12). Alves, H., 2013. Co-creation and innovation in public services. The service industries journal, 33(7-8), pp.671-682. Bason, C. (2010). Leading public sector innovation: Co-creating for a better society. Bristol: The Policy Press. Vigoda-Gadot, E., Shoham, A., Schwabsky, N., & Ruvio, A. (2008). Public sector innovation for Europe: A multinational eight-country exploration of citizens’ perspectives. Public Administration, 86(2), 307–329. Nahi, T., 2012. Co-creation at the base of the pyramid. Paper for Corporate Responsibility Research Conference, University of Leeds, UK. London, T. and S.L. Hart 2004. 'Reinventing strategies for emerging markets: Beyond the transnational model', Journal of International Business Studies, 35: 350-370. Sánchez, P., J. Ricart, and M. Rodriguez. 2005. Influential factors in becoming socially embedded in low-income markets. Greener Management International 51: 19–38. Witell, L., Kristensson, P., Gustafsson, A. and Löfgren, M., 2011. Idea generation: customer co-creation versus traditional market research techniques. Journal of Service Management, 22(2), pp.140-159. Kristensson, P., Gustafsson, A. and Archer, T., 2004. Harnessing the creative potential among users. Journal of product innovation management, 21(1), pp.4-14. Sanders, L. and Simons, G., 2009. A social vision for value co-creation in design. Open Source Business Resource, (December 2009). Images from top: the living lab, JOSEPHS® - the Service Manufactory in Nuremberg; Katharina Greve and Dr Veronica Martinez participating in the co-creation process at the living lab, JOSEPHS®.